Taking a page from Skyteam’s book, the Oneworld global alliance has kicked off a new branding and airport signage project to let frequent travelers know where the group’s benefits are available to them. 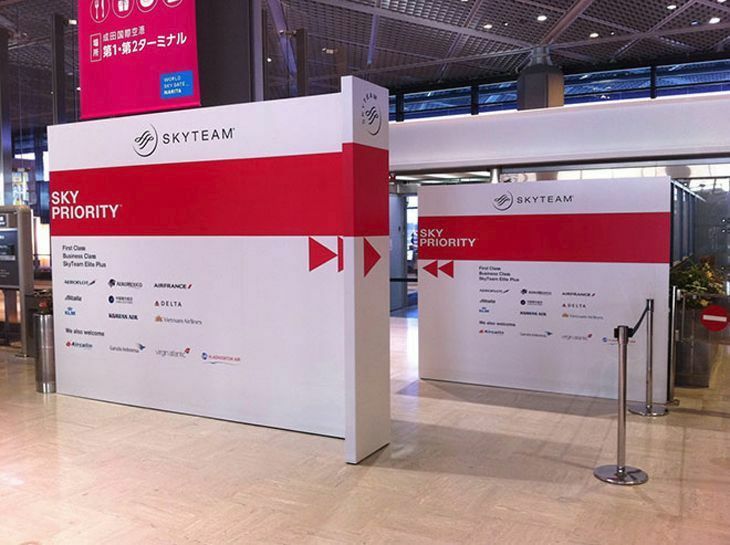 Although not as large and prominent as the Skyteam displays, the Oneworld effort will highlight the group’s logo and display the word “Priority” along with color-coded symbols representing Emerald, Sapphire and Ruby status, as appropriate for the benefit available at that point. 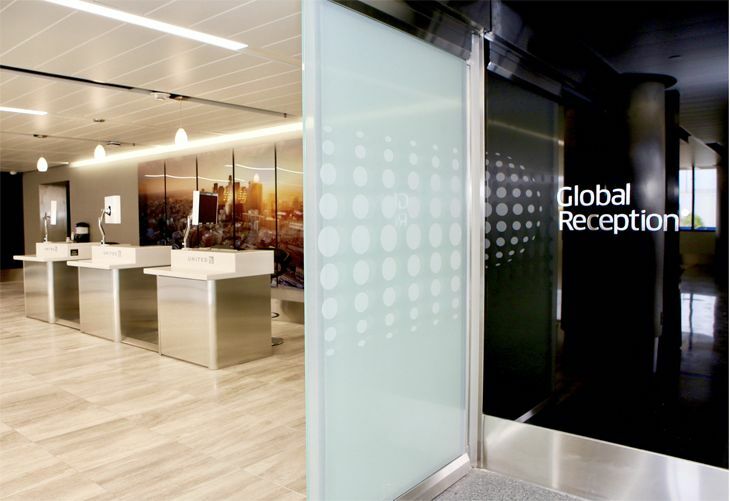 The first Oneworld signs went up in Perth, Australia’s airport, to be followed in August by Sydney, Melbourne, Berlin Tegel and Dusseldorf. 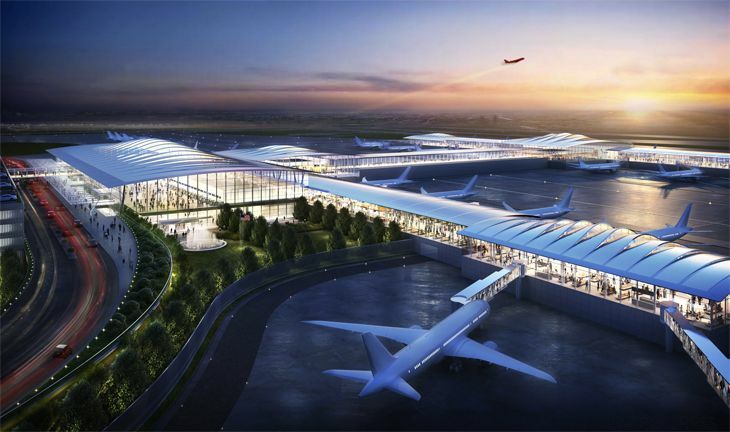 Various U.S. gateways will get the treatment in September, and Oneworld promises that it will complete the project in 125 of the top business travel airports worldwide within a year. 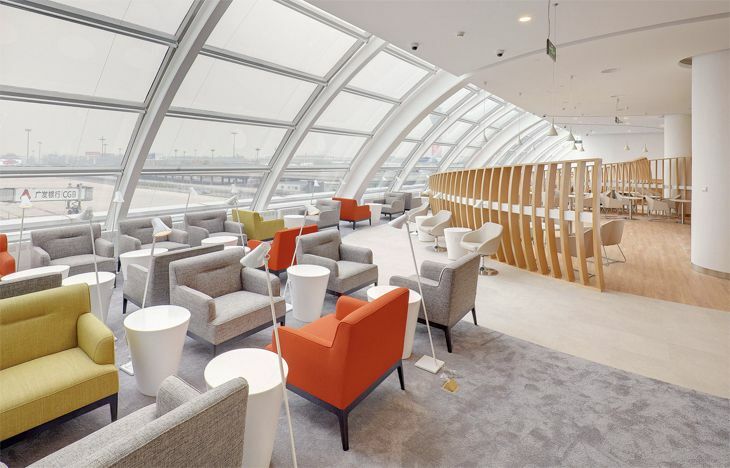 Elite-tier benefits, depending on the traveler’s level, include things like priority check-in desks, security fast-track lanes, access to airport lounges, and priority boarding. 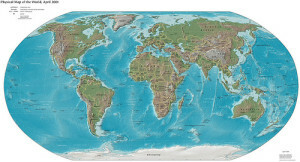 The Oneworld alliance includes American Airlines, Qantas, British Airways, Japan Airlines, Cathay Pacific and others. 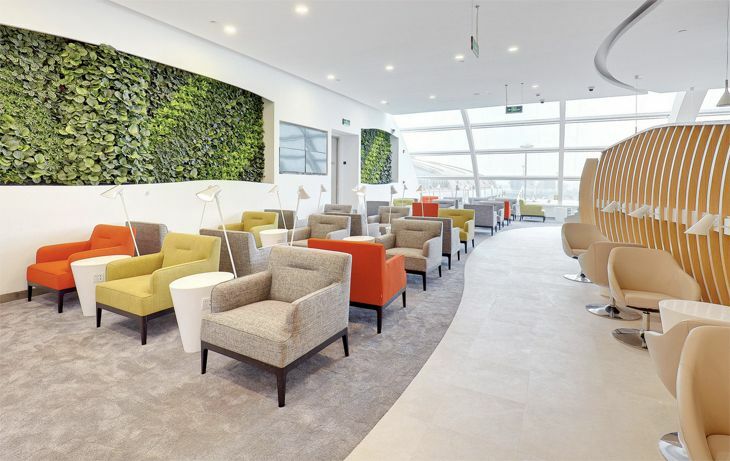 To the surprise and consternation of Delta regulars at London Heathrow, Delta recently re-shuffled its flights between Terminal 3 and Terminal 4, affecting access to Virgin Atlantic’s Clubhouse lounge. 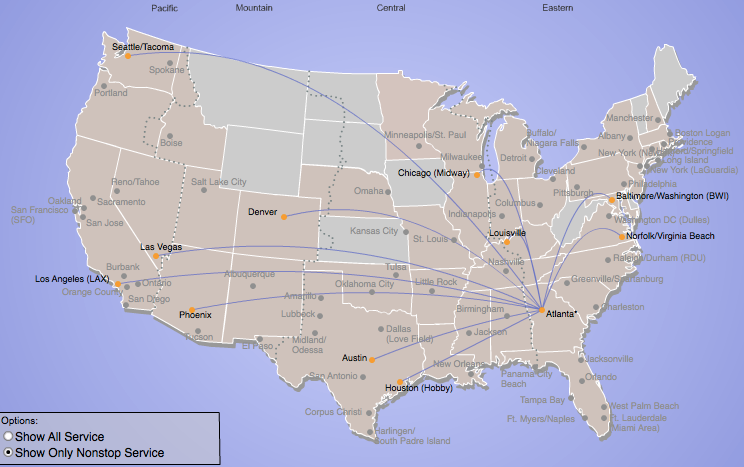 The goal of the recent reshuffling was to co-locate as many Delta and Virgin Atlantic flights as possible, but flights to Atlanta and Seattle have moved from Virgin’s Terminal 3 back to Terminal 4. A notice was placed on delta.com this spring, but there appears to still be some confusion with passengers going to the wrong terminal. The change means that Atlanta and Seattle-bound passengers can no longer access Virgin’s much-touted Clubhouse in Terminal 3. 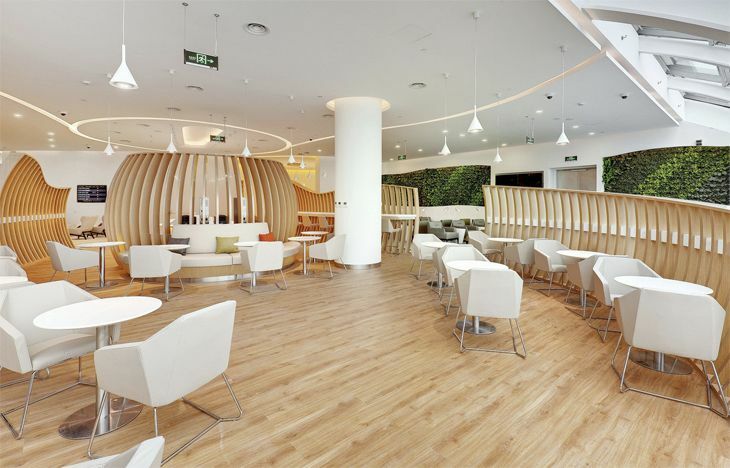 Instead, they must use the branded SkyTeam lounge in Terminal 4. But is that all bad news? Not necessarily. 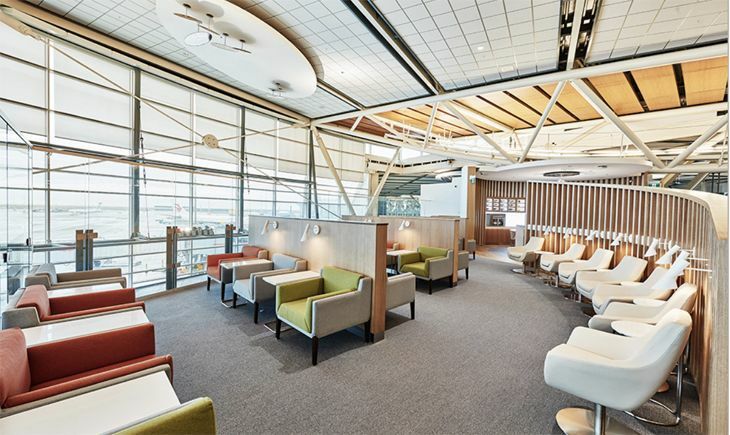 For example, Delta Sky Club members are not permitted to use the Clubhouse lounge while they are given access to the SkyTeam lounge. For them, this is a positive change. 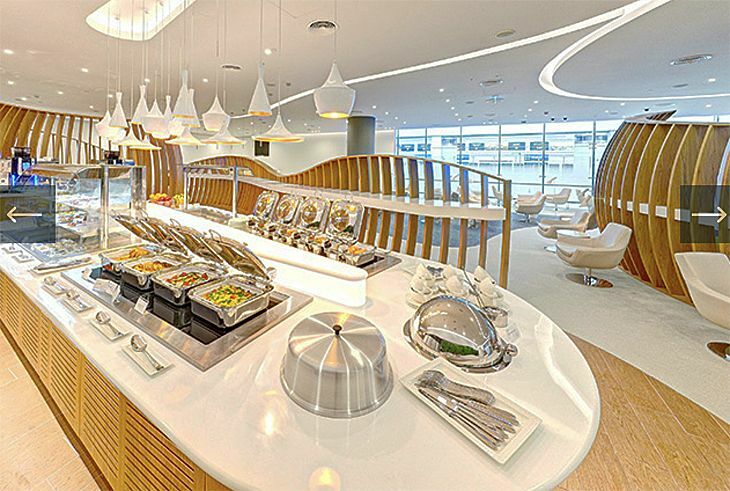 SkyTeam Elite Plus Platinum and Diamond Medallion members were permitted to use Virgin’s lounge, but not Gold Medallions. 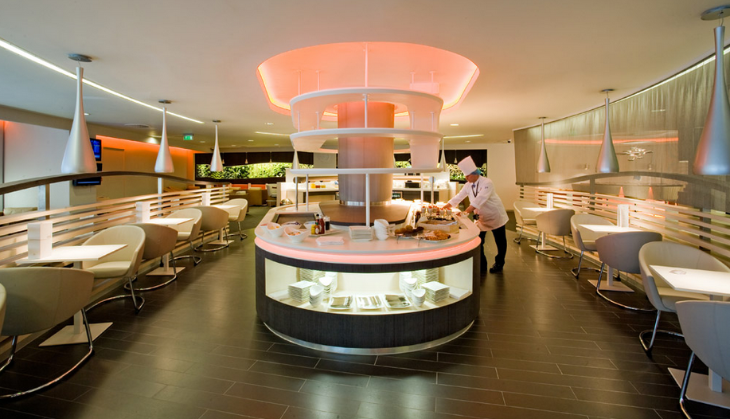 The move back to terminal 4 gives SkyTeam lounge access back to Gold Medallions (they were specifically excluded from the Virgin agreement in terminal 3 unless traveling in a premium cabin). 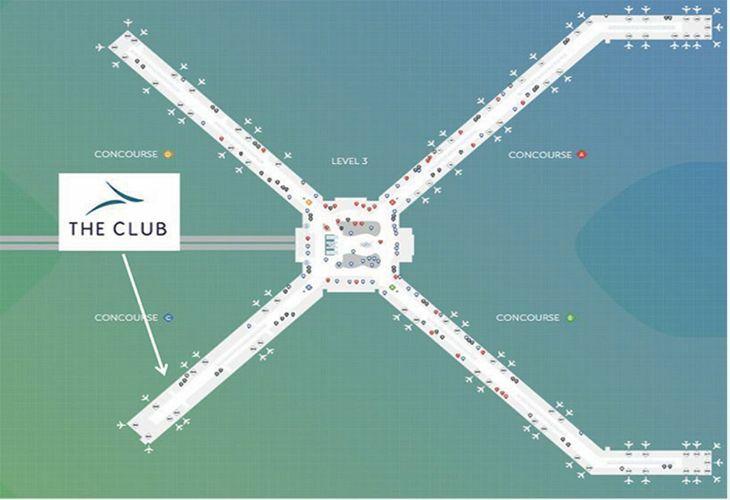 Related: Delta Sky Club at SFO | New Centurion lounge opens in June! 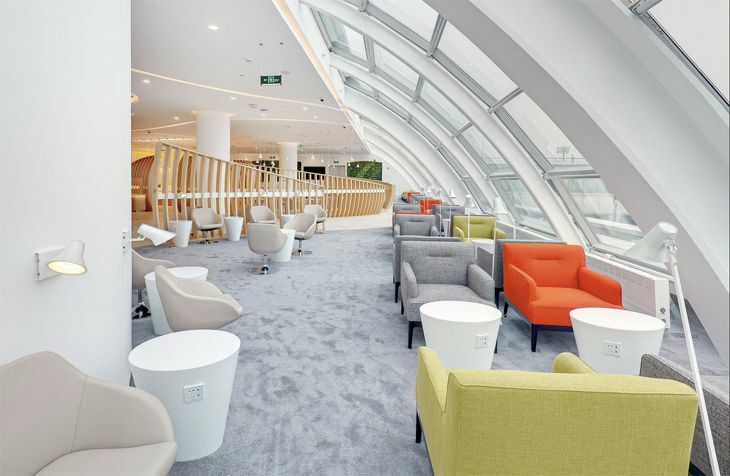 All business class passengers on a SkyTeam carrier departing terminal 4 receive access to the Skyteam lounge, which has a small spa, oxygen bar, self-service bar and buffet, work areas, and napping rooms. 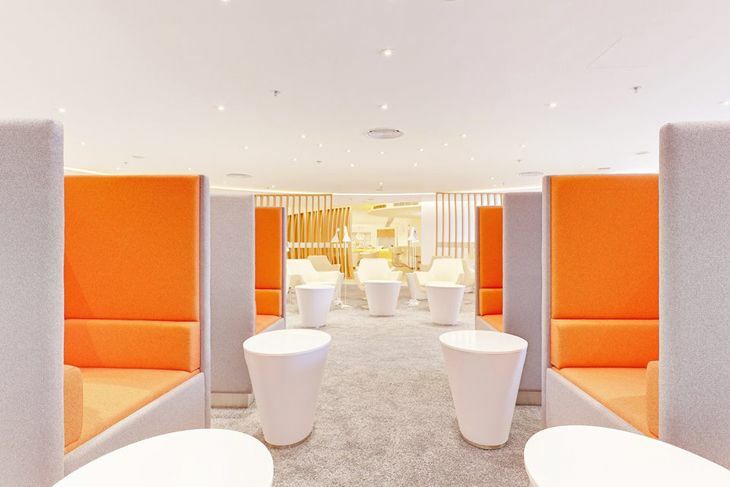 While not as elaborate as Virgin’s lounge, it is only a minor disappointment and comes with the tradeoff of providing more lounge access to qualifying passengers. The vertical garden/living wall made up of 60 specially selected plants designed by botanist Patrick Blanc is not bad to look at either! When it comes to arrivals lounges, those arriving at Terminal 3 can use the Delta Arrivals lounge located outside of baggage claim. 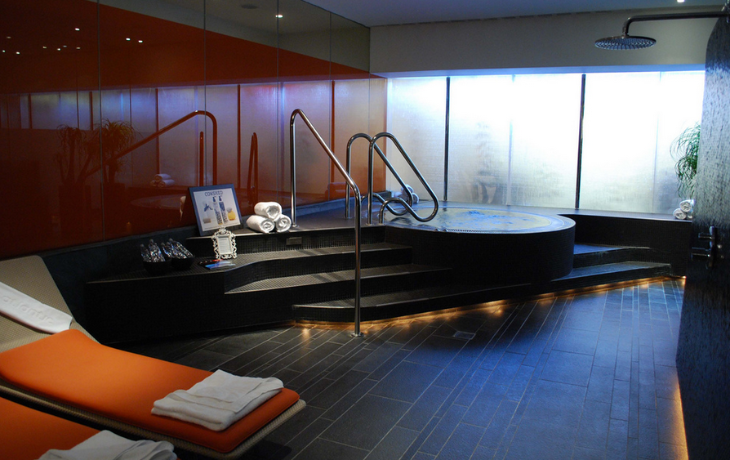 Those arriving in Terminal 4 are given vouchers to make use of a room and shower at the landside Yotel. As of now, Delta flights between London and to Boston, New York JFK, Newark, and Los Angeles use Terminal 3. All others (Atlanta, Detroit, Minneapolis/St. Paul, Philadelphia, and Seattle/Tacoma) use Terminal 4. 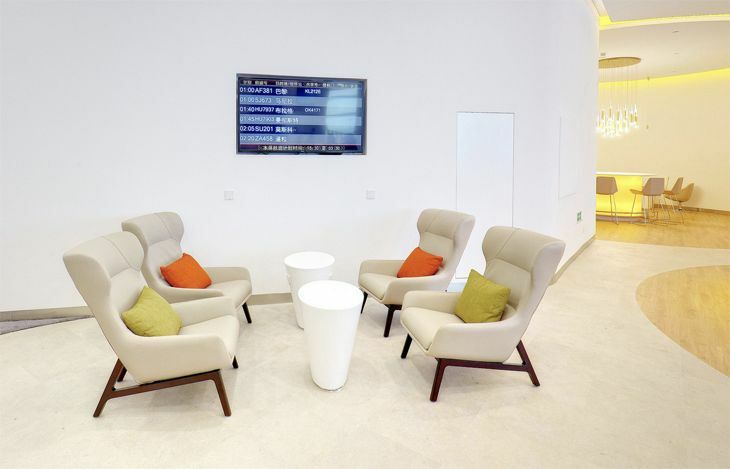 Have you used either the SkyTeam or Virgin Clubhouse at Heathrow? Which one do you prefer…and why? So you thought that airline alliances are about making travel on member airlines a seamless experience? Think again. All of those glossy SkyTeam ads may have you fooled. This week Delta gutted the SkyTeam partner airline mileage-earning chart reducing the amount of miles to be earned on certain carriers within the alliance. Star Alliance and oneworld have similarly reduced mileage earning on some lower fare classes in the past, but neither goes as far as Delta just did. For example, Delta dropped MQM earning on all Korean Air flights completely, and Korean Air is a founding member of SkyTeam! 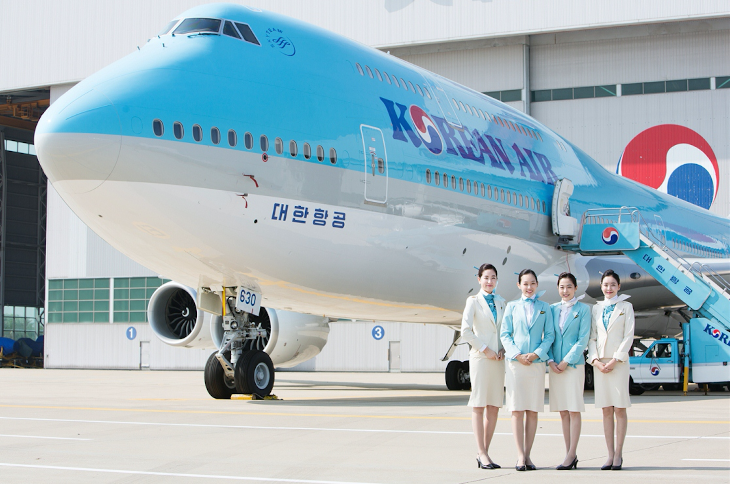 You can still earn SkyMiles for Korean Air travel, but they won’t count toward elite status. Huh? Isn’t that one of the main benefits of the alliance? Delta also provided MQMs for some flights on Hawaiian, Malaysian, and Olympic in the past even though they were not part of the alliance, but that benefit has also been nixed. 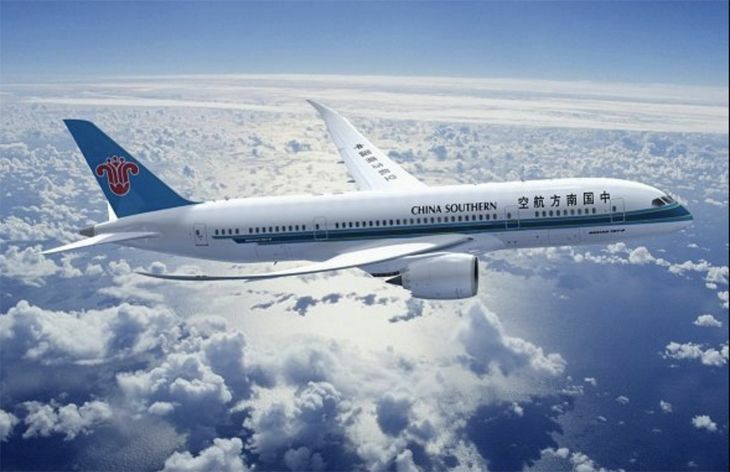 In addition, MQM earning on Aerolineas Argentinas, China Airlines, China Eastern, China Southern, Vietnam, and Xiamen has been reduced significantly and no elite mileage bonuses are offered for Medallion members. 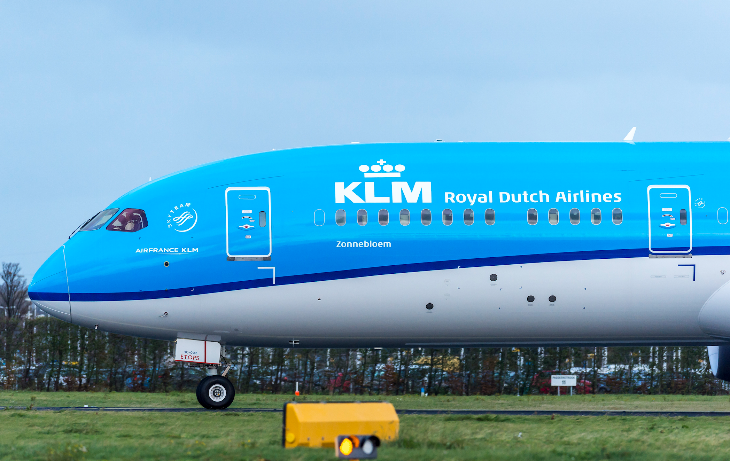 Almost all alliance members saw drops in MQM earning and bonus mileage for elite flyers with the exception of Air France, KLM, and Alitalia (with which Delta operates a transatlantic joint venture). Aeromexico was also spared as were a few non-alliance partners like Gol and Virgin Australia. Changes go into effect for travel beginning on Sept. 1, 2013 so if you already have flights booked after that date, your mileage earning just took a hit. 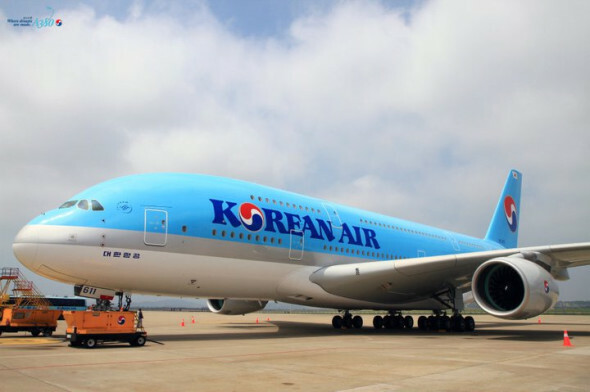 Korean Air flies to Seoul nonstop from Atlanta so be careful booking that flight if you are hoping to earn MQMs. 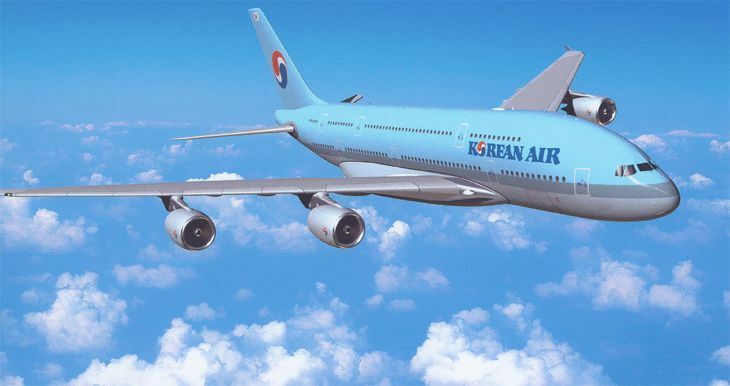 Korean Air often prices their tickets significantly cheaper than the Delta codeshare (aboard the same plane). Remember, if your ticket has a DL in front of the flight number (even if it is operated by Korean Air) then you will earn mileage based on Delta’s standard, not Korean Air’s. But you will pay for that privilege. The TICKET checked a one-way fare on August 31 from Atlanta to Seoul. Korean Air charges $1,133 for a one-way ticket in economy; Delta charges $2,969 for the same seat. But, with Delta’s fare you would earn the 7,000 or so MQMs for the flight and any relevant bonuses based on your Medallion status; on Korean Air’s flight (which is almost two-thirds less!) you get nada to get you closer to Medallion status although you would still earn SkyMiles. Delta explains that partner airlines determine how they want to participate with the SkyMiles program, but it seems that there should be a base level requirement of mileage earning for alliance members. This is clearly a move to encourage travel on Delta-operated flights or those of its joint venture partners. Rumors are continuing to swirl about a major devaluation to the SkyMiles award chart coming next year (originally scheduled for this year, but there were some snags that needed to be worked out, remember, this is the Delta website we are talking about!). It is widely believed that mileage will soon be tied to the cost of a ticket rather than the traditional award zones that we know today. It’s wait-and-see on that front, but this drop in mileage/MQM earning on SkyTeam partners may be the straw that breaks many frequent international travelers’ backs. Will these changes impact your travel? Will it affect your loyalty to Delta? Please leave your changes below. 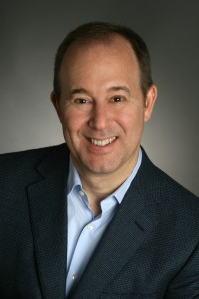 Here’s his take… please read it and let us know how YOU feel about the possibility of a Delta-Virgin tie up– or the possibility of Virgin America joining a global alliance like SkyTeam. For this deal to truly work, the two will need to secure the ability to enter into an antitrust-immunized joint venture or joint business agreement. A joint venture or joint business agreement will give the two airlines the ability to align their flights and fares, while pooling both revenues and expenses. These are common, especially between US and European airlines (American Airlines and BA have a joint business agreement).Delta and Virgin Atlantic have cooperated in the past (the two had a limited code share relationship in the 1990s). Virgin Atlantic will bring both Delta and all of SkyTeam access to London– one of the most important business markets in Europe. Delta, in turn, can help generate more feed for Virgin’s flights through its JFK hub. Importantly, I think both airlines have similar, “customer first” cultures. I think Virgin Atlantic would find itself more welcome and able to have more influence in the SkyTeam alliance, which is smaller than Star Alliance. 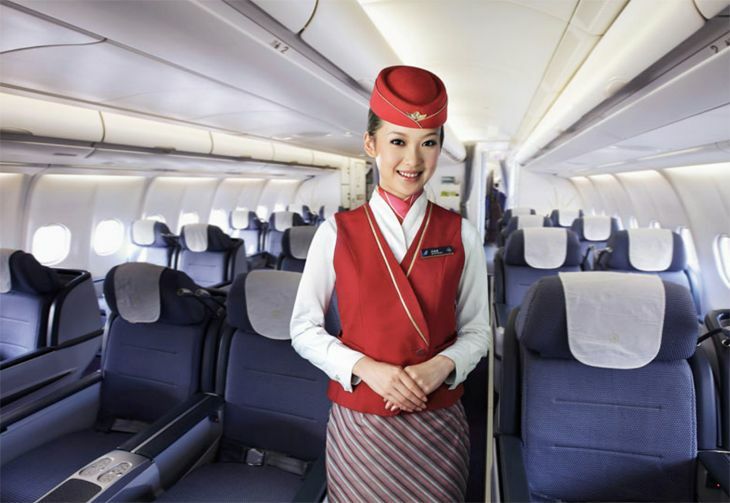 For a limited period, San Francisco passengers will have the opportunity to experience spacious luxury onboard the world’s largest commercial aircraft, the Airbus A380 on flights to Asia. Between December 28, 2012 and March 24, 2013, Singapore Airlines will pop into town with daily “Pop-Up” A380 flights between San Francisco and Singapore via Hong Kong. Flip through this slideshow to see its famous Suites and the widest Business Class seats in the sky. SQ1 departs SFO at 10:50 pm and arrives in Hong Kong at 5:50 am two days later. Flight time is about 13 hours to Hong Kong, and with another 3.5 hours to Singapore, you’ll have plenty of time to soak up the luxury and explore the 1000+ onboard entertainment options. SQ2 arrives daily in SFO at 7:45 pm on the same day it departs from Singapore and Hong Kong. HERE COME THE RED BELLIES! This time next month, travelers at ATL will notice a new bird buzzing around the airport— Southwest’s Canyon Blue (upper fuselage) red (undercarriage—the “belly”– and tail) and orange (tail) Boeing 737’s. Empty planes will be ferried in from Dallas on Saturday, February 11, and the first scheduled Southwest flight will depart ATL on Sunday morning, February 12 at 6 a.m. destined for Baltimore. Later that day, flights will depart for Chicago MDW, Denver, Houston Hobby and Austin. On March 10 Southwest will add nonstops flights to Las Vegas and Phoenix. On June 10, it will add one daily nonstop between ATL and LAX in addition to AirTran’s three daily flights. Southwest flights will, at least for now, arrive and depart from Concourse C at ATL. KEEP AN EYE ON SEATTLE. On August 12, those loooong flights between ATL and Seattle will changeover from AirTran to Southwest aircraft… meaning no more business class, and no more guaranteed Gogo wi-fi. (Southwest offers wi-fi on only 150 out of 500 jets now…so there’s no guarantee you’ll get it on the ATL-SEA flights.) Keep an eye on Seattle fares… it’s going to be interesting to see how Delta and Alaska Air respond as the only two carriers with nonstops with premium class service between ATL and SEA—and will help us predict how Delta will respond when Southwest no longer offers AirTran business class between ATL and other long haul west coast routes like Los Angeles or San Francisco. NEW YEAR’S RESOLUTION TO JUMP INTO SOCIAL MEDIA?? Start with The TICKET! 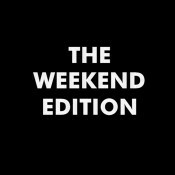 You’ll love our travel newsfeeds, blurbs and comments on TWITTER and FACEBOOK! Come on a follow, like or join us! AIRPORTS TRIM THE FAT. Eating healthy on the run has always been a challenge that road warriors must face, but the nation’s airports are beginning to take notice. 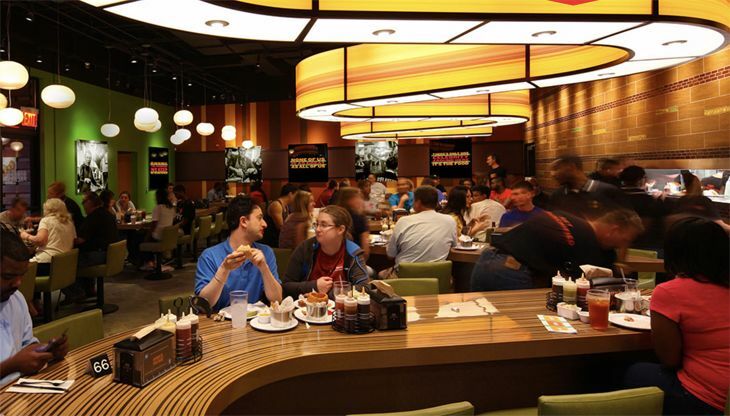 According to the latest report from the Physicians Committee for Responsible Medicine (PCRM), which assesses the fare on offer at restaurants in 15 major airports, Delta’s Detroit hub offers some of the healthiest food option in the country. Other airports that ranked high include Washington Dulles and San Francisco. 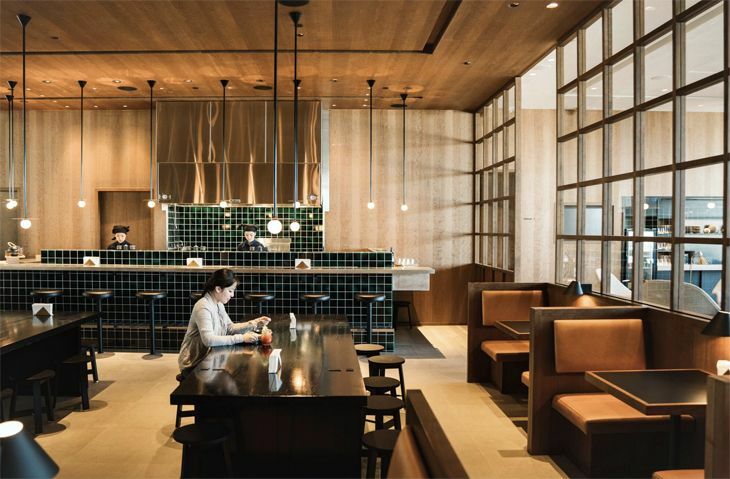 Airports are ranked based on the percentage of their restaurants that have at least one healthy option on the menu including a low-fat, high-fiber, cholesterol-free vegetarian entrée. Charlotte scored as the most improved in the country. Other top choices included Minneapolis/St. Paul, Dallas/Ft. Worth, Denver, and Miami. Atlanta’s Hartsfield Jackson and Washington Reagan National ranked at the bottom of the pack. (You know you’ve been sneaking in too much of that fried chicken and waffle fries at Popeye’s and Chick-fil-a.) Regarding Atlanta, the report offered this advice: “But travelers looking for healthful meals can find a few choices, including spicy tofu made with vegetarian broth at Asian Chao, burritos or tacos with black beans, pinto beans, or tofu crumbles and grilled veggies (hold the cheese) at Moe’s Southwest Grill, or Bistro Del Sol’s Mediterranean Trio: hummus, tabouli, and stuffed grape leaves.” Gosh, imagine what’s going to happen to the score when the Varsity arrives at ATL…What’s YOUR favorite food at ATL?? Leave your comments below. DELTA SKY PRIORITY GOES GLOBAL. The Sky Priority branding familiar to Delta SkyMiles Gold, biz and first class passengers that provides expedited boarding, ticket counter assistance, and other preferred travel benefits in the US will now be adopted by the entire SkyTeam alliance. This means that eventually, the Sky Priority features will be available on all SkyTeam flights including the popular separate boarding lane allowing customers to bypass the line. It will take some time to implement this at all SkyTeam airports, but major hubs in the alliance network will see it first including Amsterdam, Nairobi, Shanghai, and Taipei. 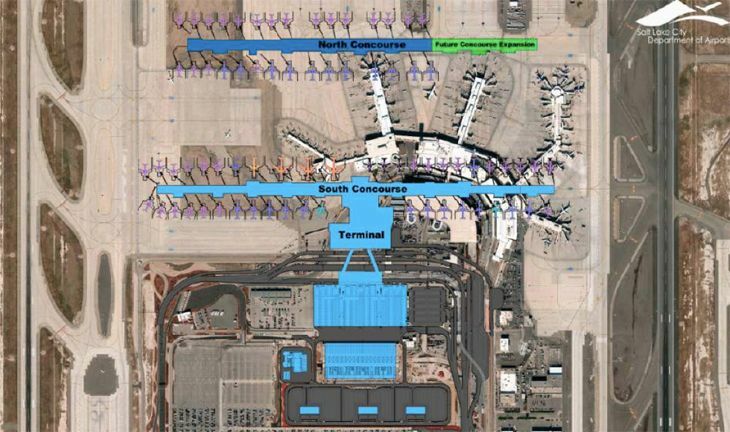 In 2013, the premium airport program will be rolled out at nearly 1,000 airports worldwide. 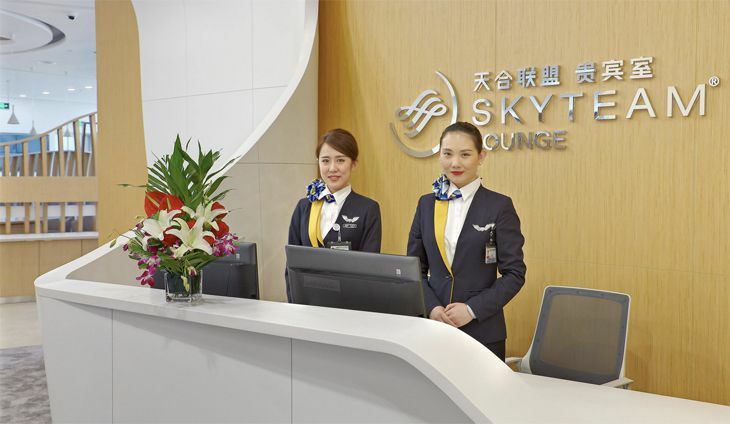 SkyTeam is the first alliance to adopt such a program for its premium travelers. DO BIZ TRAVELERS LUV SOUTHWEST? 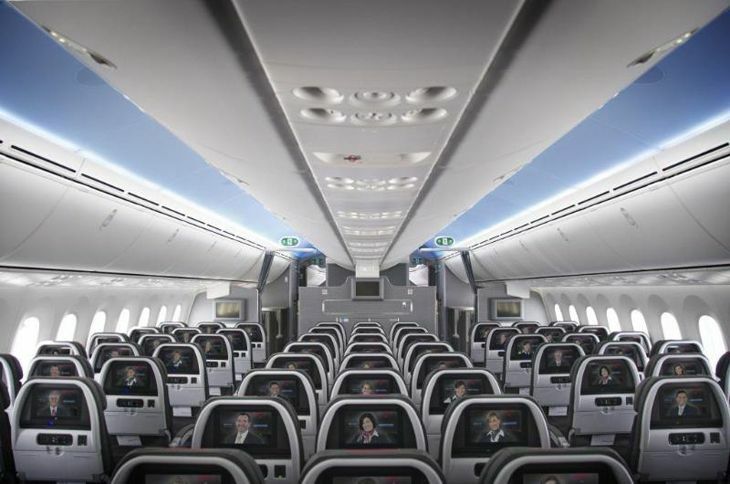 A Travel Leaders travel agent network survey found that many AirTran clients are seeking alternatives that offer a premium cabin now that Southwest has announced it will eliminate Air Tran’s business class offering. Southwest does offer two free checked bags and does not assess those awful $150 change fees, but many travelers have come to love their Delta upgrades and see them as the only solace left in today’s travel environment. Delta is bound to be the prime beneficiary of defectors, but other airlines may also take notice and offer competitive fares and frequent flyer promotions to lure away AirTran loyalists. What about you? Will you give Southwest a chance when it arrives on February 12? Please leave your comments below. SKYMILES UP NORTH. Delta has signed a codeshare agreement with Canadian airline WestJet allowing travelers to earn SkyMiles, through check their bags, and book connecting itineraries with ease. In the partnership’s first phase, the Delta code will be placed on WestJet flights to 15 cities including flights between Toronto and Edmonton, Halifax, Kelowna, Ottawa, Regina, and Vancouver; between Calgary and Las Vegas, Vancouver, and Victoria; and between Vancouver and Honolulu, Kelowna, and Las Vegas. The WestJet code is being placed on flights to five Delta city pairs including between Detroit and Montreal, Quebec City, and Ottawa; and between Boston and Toronto. AIRTRAN DUMPS XM. 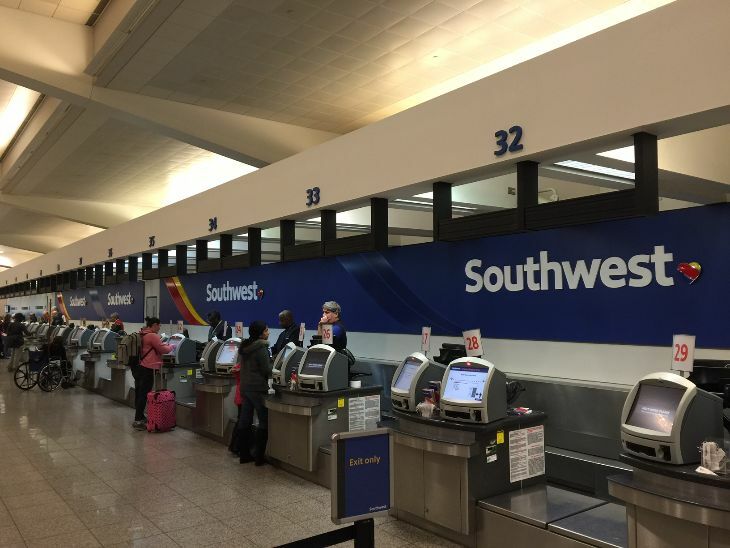 Atlanta is preparing for Southwest’s arrival, which will bring many positive changes for travelers like no baggage or change fees. However, one change will not be so exciting. Southwest has opted to remove XM satellite radio from Air Tran planes to standardize its entire fleet. The free amenity will be removed from planes progressively beginning immediately. What do you think? Did you use the XM service? Will you miss it? Leave your comments below. NEW FLIGHTS TO HAITI. Delta will launch new Saturday-only flights from Atlanta to the Haitian capital Port Au Prince April 7. This new flight follows a two-decade hiatus for nonstop service from Atlanta. Delta also flies daily from JFK to Port Au Prince to serve the large Haitian community living there. After the massive earthquake in Haiti two years ago, Delta was among the first airlines to fly relief aid to the country. MORE FIRST CLASS. 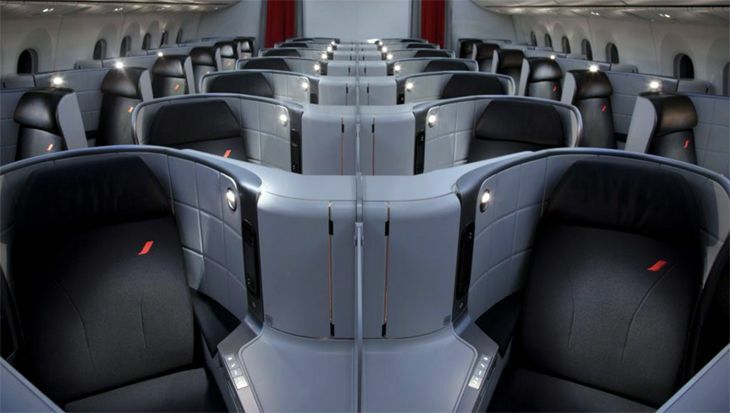 This week Delta announced it will install 13 percent more first class seats on its domestic aircraft, noting that this will improve the upgrade chances of Medallion members and provide a boost to its bottom line. MD-88 aircraft will go from 14 to 16 seats up front while the MD-90 will go from 12 to 16. The Boeing 757 will see a boost from 24 to 28 seats while the 13 domestic Boeing 767s will get an extra row up front creating a jump from 24 to 30 seats. Good news: Seat pitch in coach won’t be affected. Delta will make room on its MD-88s and MD-90s by removing rear galleys. On the others, it will remove closets to make way for more first class seats. BLACKBERRY LOVE FROM DELTA. Delta’s new Blackberry app is now live and can be downloaded from the Blackberry AppWorld Store or by visiting delta.com/app. Similar to the iPhone app, this mobile tool allows you to search flight schedules, check in for a flight, get an electronic boarding pass, monitor your SkyMiles balance, and check flight and gate status. Plans are under way to allow acceptance of a new itinerary when a delay occurs or to choose alternate flight options. Glad to see Blackberry users were not forgotten in the iPhone craze! Delta says that an Android app is in the works, but there is no date set for release. HEARTIER FARE AT SKY CLUBS. 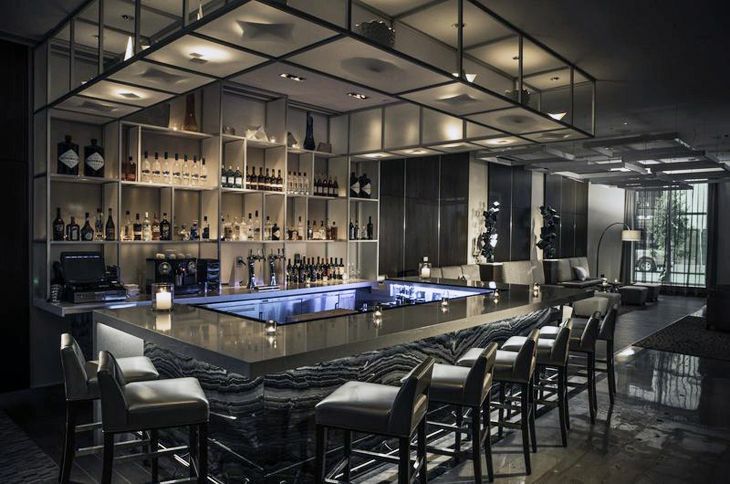 Delta Sky Club members have something to look forward to on their next visit. New food offerings include hot oatmeal in the morning hours and hot soup for the remainder of the day. It is unclear whether these additions are permanent changes or simply a winter treat, but according to club agents, customer response has been overwhelmingly positive. They also report that members are strongly in favor of providing heartier items such as soup to complement the healthier (but lighter) vegetable tray and fruits already on offer. GET READY FOR THE DELTA UP SELL. During Delta’s recent investor presentation, executives indicated that delta.com would be an important component in the company’s goal to boost revenue. Already in place are numerous opportunities for users to buy Sky Club passes, hotel and car rental offers, and travel insurance. Starting sometime next year, Delta is expected to make more attempts to “up sell” customers during the booking process on Delta.com. It could work something like this: Let’s say you buy an ATL-SFO coach roundtrip for $600…delta.com will say, hey, if you pay $198 more, we can put you in first (since that is the cost for a deeply discounted first class fare vs. the refundable Y fare you purchased). Simply put, Delta hopes to up sell you to a higher fare class by showing you the difference if you’re “close.” If you buy a deeply discounted $200 ticket, it won’t say, “Hey, if you pay $800 more, you get first class”… because you obviously weren’t interested in purchasing a premium fare to begin with. Good or bad idea? LET US KNOW! Leave your comments below. DO FLY FOR ME ARGENTINA. Speaking of South America, SkyTeam just got a boost now that Aerolineas Argentinas has applied for membership to the Delta-led alliance. It will be the first South American partner for SkyTeam; South America was deemed to be a “white spot” for the alliance with little presence in comparison with Star Alliance and oneworld. Aeromexico is SkyTeam’s major Latin American partner, and the addition of Aerolineas Argentinas (which is undergoing a major rebranding to improve its once flailing image following its former ownership by Spanish company Grupo Marsans) will bring a strong presence for Delta flyers heading south of the Equator. ROLLING OVER. How many MQMs have you earned this year? Remember that MQMs over a certain tier level now roll over to the following year. This benefit helps members achieve Medallion status faster and also encourages choosing Delta even after you’ve reached your desired Medallion tier. Remember, you have until Dec. 31 at midnight to rack in those last few MQMs. But there’s still that lingering question…if you fly overnight on 12/31/10 and land on 1/1/11, in which year do the MQMs post? The answer: 2010! NEED SOME JUICE? Running low on battery power? Your next Delta flight may be better thanks to new power pole stations the airline is installing at each of its gates in Atlanta. The new charging stations will provide numerous outlets close to the gate area so you don’t need to stray far to juice up before your flight. No more hunting under chairs or behind garbage cans for the coveted power outlet. The $4.3 million investment from Delta for these charging stations will cover polls at Atlanta, JFK, and more than a dozen other major airports. Plans are underway to install these in the coming year.